The first “Encuentro” took place last May 11th successfully uniting Mexicans in Zurich from all regions of Switzerland. 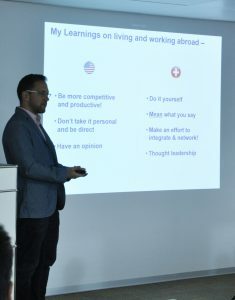 An enriching atmosphere allowed exchanging experiences of working in Switzerland, tips about living in Switzerland and developing a social network, learning a foreign language and how to successfully be a professional Mexican. 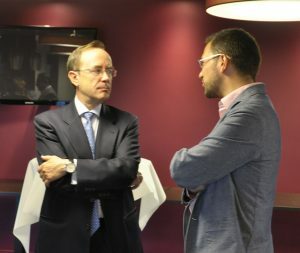 The event started with a coffee, in which we could get to know each other and identify similarities (common friends, companies and cities of origin). Maria Mülli (CEO LATAM BUSINESS NETWORK) shortly introduced the “Mexican Professionals in Switzerland” group and introduction the cultural differences between the Multi-active (Mexican) and linear culture (Swiss) identifying main cultural differences. We continued with the presentation from José Gorbea. He is the Marketing & Digital Operations Lead Europe by MONDELEZ EUROPE. Who share with us his international experience working in Miami, Mexico and Switzerland while working for well know companies such as Kraft, Bimbo and Mondelez. Very enriching and emotional were the discussion about the experiences of working with Swiss colleagues, how to make friendships and how to be yourself in a different culture. Each one had the opportunity to introduce each other, while identifying old colleagues from the same university or friends in common. 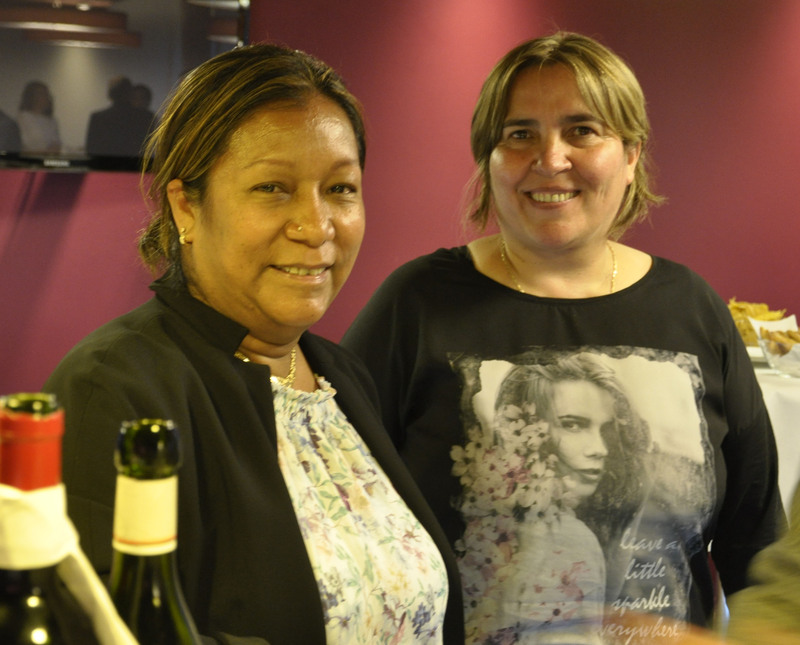 We could continue with a nice glass of wine and delicious food during a 90 minutes àpero, in which we could consolidate the new network, exchange business cards and build new friends. 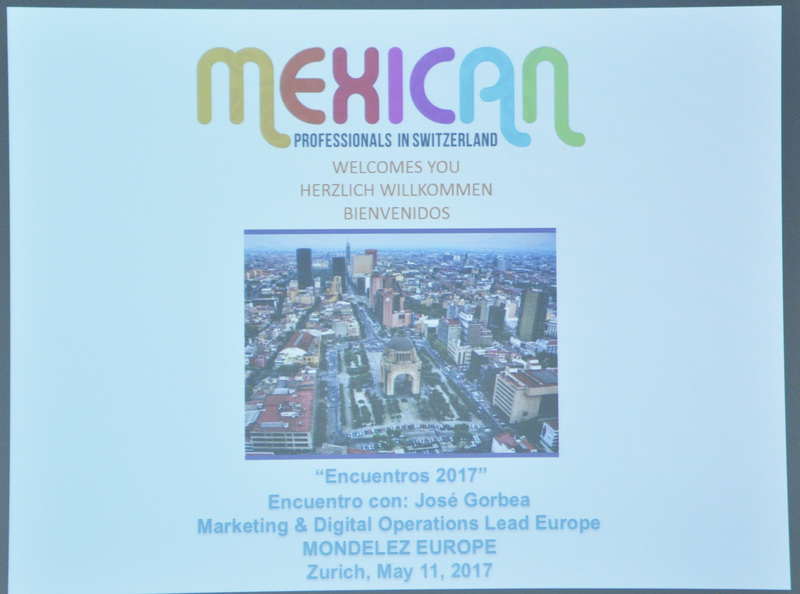 The group Mexican Professionals in Switzerland formed by more than 150 professionals founded in 2012 with the aim to establish a network between the Mexican Professionals living in Switzerland, or people interested the relationship between Mexico and Switzerland. The group seeks to increase the professional network and reaffirm the positive image of the Mexican professionals while exchanging experiences, know-how and provide support during the expatriation process, job search, local culture, career development, etc. When arriving to Switzerland, you may have felt like jumping in the cold water. You were busy taking your new job, learning another language, focusing in your studies, or looking for a job. Getting use to a new culture is not an easy challenge; we have prepared a row of events in which we have selected a group of “senior” Mexicans, living for a long period in Switzerland”. Who will share their valuable experience with us and may try to help you to make the best of your time in Switzerland. Speakers will talk about: why Switzerland? How is living in Switzerland? What is it needed to make friends in Switzerland? How is it working in Switzerland? What are the challenges and opportunities for Mexicans? Tips when changing the company in Switzerland? Do you want to sponsor and event or make your company present in this selected group. Contact us for the sponsorship possibilities.